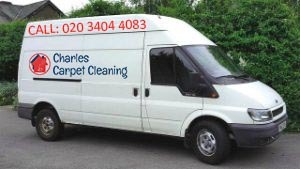 Charles Carpet Cleaning has a generous policy and we are always happy to offer you more for less. We have accepted the rule to establish budget-friendly cleaning services. What we care is not just the final fee to be paid, but also to receive your positive feedback or to know you will recommend us to your friends. All of our carpet cleaning services in London are affordable and suitable for any budget! Our carpet cleaning service in London offers a big variety of promotions. We regularly grant the regular and loyal customers with special offers. For each next service, you order alongside with your first service you will get a discount, too. We also have seasonal cleaning offers. Follow our website news feed and Facebook page to get informed about our exclusive deals. Do not hesitate to ask for free quotation right away! Call us on this phone number 020 3404 4083. Get in touch with our kind and polite customer support representatives. They will tell everything you need to know about our prices and payment conditions! We are waiting for your Call!